Swelling of the feet and ankles is a common occurrence. Problems with the heart or blood vessels that dont allow the blood to return properly can cause swelling in the feet and ankles. This condition is caused when the hearts pumping ability cannot keep up with the blood being returned leading to a back-up resulting in foot swelling. Weak veins or varicose veins allow blood to pool in the feet and ankle which results in swelling. Sometimes you can see these tortuous veins more prominently on your legs and can appear to be more full of blood when actually the blood is not moving at all. Another cause can be due to malnutrition or kidney failure mediated through low protein in the blood with fluid yielding leaky blood vessels. Another cause of swollen feet is oedema. This is an accumulation of fluid in the body's tissues causing swelling. It is very common during pregnancy. It is also common in people that stand on their feet all day due to their job. Compression stockings are a vital form of treatment. Its important to keep active and to keep the swelling down. This is best done by keeping your feet elevated when stationary and wearing support stockings when active. Rest and raise your legs if they are swollen. Put a pillow under your feet if you are lying down .Diuretics are tablets that are available from your doctor to control the amount of swelling that is present in feet and legs. If you are experiencing acute discomfort or swelling, put an ice pack or a bag of frozen vegetables on your feet for 20 minutes when you get home. Repeat every few hours for the first 48 hours. According to recent study patients should eat healthily foods, and avoid sodium and salty foods like olives and salted nuts. How do you treat and prevent swollen feet? Common therapies include the use of compression stockings to prevent swelling and assist the veins in returning blood to the heart. Stockings often compress gradually with increased pressure at the toes with decreased pressure as the stocking continue to the calves or thighs. Stockings are best applied prior to getting out of bed in the morning before the legs and feet have had an opportunity to swell and should be monitored for tightness at their highest part, as this may cut off circulation. A proper fit stocking can provide many benefits and prevent the common swelling of the feet and ankles. Review: A relaxing Cream with epaline and sweet clover. 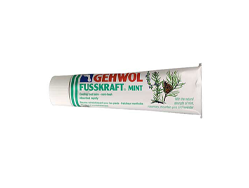 Ideal for tired, swollen & irritated feet. 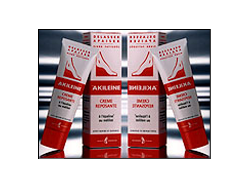 Akileine Tired Foot Cream combines the effectiveness of a foot massage, the invigorating power of epaline and sweet clover, and the stress-relieving pleasure of aromatherapy. Relax and revitalize yourself as you soothe and relieve hot, painful, swollen feet after a long day of standing, walking, or wearing uncomfortable shoes.